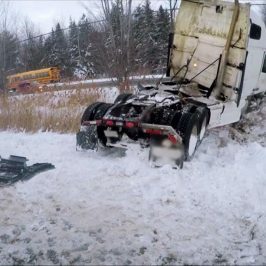 In Canada, the winter is a time of peak danger, with snow, freezing temperatures and bursts of high winds that can play highway havoc with rescue operations. 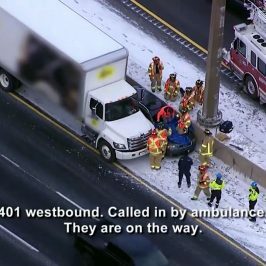 The work of the operators is particularly vital as Southern Ontario’s highways are amongst the busiest in the world with up to 400,000 vehicle movements every day. An accident that disrupts any one of these vital arteries can produce massive consequences right across the area. In providing their valuable service, crews sometimes have to operate very close to open lanes and speeding traffic that moves along them. It’s danger plus, with only centimetres to spare. 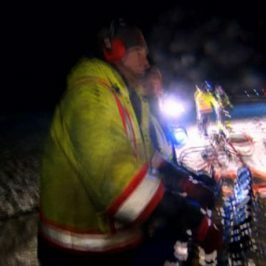 Heavy Rescue is far more than entertainment. It contains a bunch of safety messages that we can take from the safety of our couch and out onto the highway. Safety messages learned and practiced daily by the team of highway professionals that take us through a season of truck crashes and motorway mayhem. The old saying “patience is a virtue” is never more true than when behind the wheel. Many, many accidents are caused by driver impatience. This leads to another very true saying for drivers – “better late than never”. When on a road trip, particularly involving freeway driving – be aware of the weather – present conditions – and what’s on the forecast. Strong winds, heavy rain, fog and snow can all produce hazardous driving circumstances. A universal rule of great importance: “Slow down in bad weather”. Monitor the traffic reports before you begin your journey. 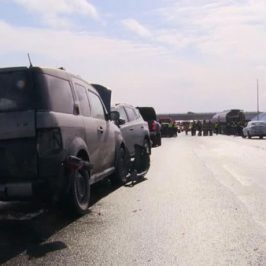 One accident on a freeway can produce immense traffic jams that extend back for many kilometres and cause hours delay. If this is happening look at postponing your journey or replanning the intended route. When you see an emergency vehicle by the side of the road – slow down and move over. Give the police, ambulance and tow truck operators as much room as possible in which to work. Allow plenty of distance between your vehicle and one in front of you. 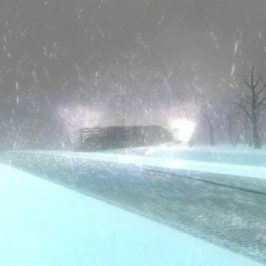 You should drive at least two seconds behind the vehicle in front in ideal conditions and double this in poor conditions. If driving a heavy vehicle increase these distances according to your vehicle size.